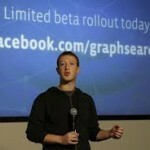 The Graph Search function is the latest feature released by Facebook, and it was implemented on January the 15th. The function is especially designed to help advertisers and online marketers – Facebook Graph Search is created to set leverage member information in order to provide marketers with targeted and customized advertising opportunities. In other words, this is a search engine that will redefine the way users explore Facebook. 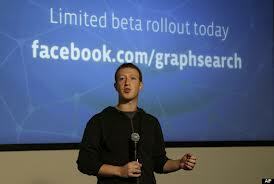 Facebook Graph Search is divided into three major categories: photos, people and places. Facebook users can easily find people based on the content the have shared, including their profile data, likes and interests. Marketers can now find photos where people were tagged in or photos they have shared on their timelines, they can discover their preferences like favorite restaurants or music, through their friends and other connections. The Graph Search is a unique marketing tool that marketers can use in their best interest. As Facebook representatives claim, the Graph Search function started with a beta program that is currently limited to US audiences, and nobody knows for sure when it will be made available outside the United States. How Does Facebook Search Graph Work And What Are Its Main Benefits? The mechanism is very simple: the Search Graph gathers valuable data from Facebook pages and profiles and gives the information to the user. The user can then use the data to advertise products or services to the target market, as it is essential to advertise a product to the prospects that are interested in buying it. The Graph Search is especially designed to take an open-ended query and provide accurate links, so that the user can find what he or she is looking for. The Graph Search function comes in handy especially for business owners who want to increase brand awareness on the Internet, as Facebook is by far the most powerful social media network, with more than 800 million active users. 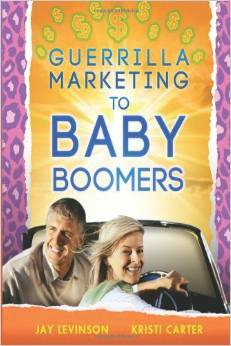 If the advertiser gathers precious member data, he or she can use it to not only define the target market, but also to expand it – by advertising a product to the people who are interested in purchasing it, the business owner can not only boost sales, but also attract more prospects. Another important benefit of Facebook Graph search is that it helps online marketers and business owners to gather unbiased feedback from customers and prospects. Feedback is vital for future marketing campaigns, as it helps companies improve their products and services – why spend money on surveys when the Graph Search can help you get quality feedback for free? This advantage should not be ignored by business owners who want to expand their business in the online environment, without having to spend a little fortune for this! To sum it up, Facebook Graphic Search is particularly useful for new businesses, where the owners struggle to make a name for themselves on the Internet. This function can help business owners gather more page likes, increase the visibility of their business, understand their customers and create the profile of the ideal customer. Gathering prospects is essential for the success of every business, and this is exactly what Graphic Search does.